Note: This is a “Station Rotation” workout in which you rotate stations at the end of each minute. Athletes can choose their start station, but must honor the prescribed order of rotation. At the end of the 18:00 workout, Athletes will have completed 6 evolutions at each station. If you miss the required repetitions per rotation, do the best you can, and then switch at the end of the minute. This is an extremely challenging session! Emily is Athlete Of The Week! Congratulations to Emily who was recognized as Athlete Of The Week at CrossFit Amundson, Krav Maga Santa Cruz, and Satvana Yoga. 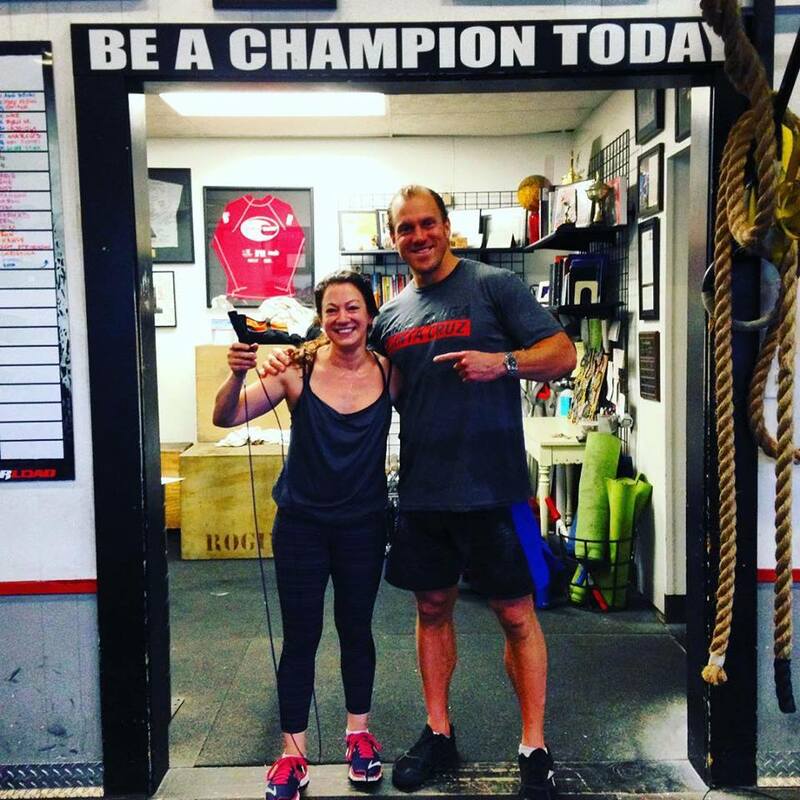 Emily is an extremely dedicated Athlete, who trains up to three classes a day on a regular basis. Most impressive is her improvement in the combatives of Krav Maga, which she has been practicing for over a year. Emily is a frequent world traveler, and has practiced Krav Maga for fitness and personal safety during her overseas adventures. In the gym, Emily is respected as an Athlete who always gives her all, and is encouraging and supportive of all her fellow training partners. At Krav Maga, Emily is recognized for her crisp technique and technical knowledge. Congratulations Emily on all your success, and keep up the inspiring work! Krav Maga Please note that Krav Maga is cancelled tonight.